If you're reading this first post at the time it's posted, you'll probibly be wondering, 'hey, where are the sketches that are in the title?'. Thing is, I need a little help. With harvest over I want to get back into drawing again. and get a lot better, despite having fallen way behind. And one of the big tips you hear is 'try to draw for at least an hour a day'. And that's a discipline I want to get into. The trouble is, I find it very hard to think of things to sketch. The stuff I come up with tend to be big or complex (for me) drawings that will take hours to draw. So, I'd like some suggestions of things to sketch. Now, for the moment I just want to get my hand back into drawing, so I'm not looking for anything complex or challenging. More practicing what I can already draw, and for stuff I could do in an hour or less. At the moment my drawing is limited, so I can probibly do Sonic characters (maybe up to three at a time depending on how used to said character I am), some pokemon (I.e. not the complex/more realistic ones) and vehicles (If I know the show/comic/movie they're from). Either single drawings or little sequences are fine. You can post suggestions here or PM them, and I'll post my sketches up, hopefully getting into a daily routine. Keep in mind, these will be sketches, so they won't be that good. But maybe they'll get better! I hope so. Well what do you think you can draw for now? If you can draw Sonic characters, start with those. If you just sometime get a random idea on your head, don't think you shouldn't, DRAW IT! It'll help. I once got a random inspiration and I hadn't even practiced drawing birds back then. I was quite happy of my drawing too! and if you can't think of anything, try drawing something from irl. (I once drew a picture of a car in front of me once, when I was waiting for my dad in our car so... xD ) It's really that simple. You can try drawing literally anything. At the moment I'm not looking for anything challenging or new, just something to help me get into the discipline of drawing everyday. And the reason why I'm not drawing the big stuff right now is they will take a lot of time, and I prefer to finish them in one sitting, not several. I know, that's a bad habit to break. I'm just looking for quick, easy stuff to just get into the groove as it were. Then how about I give you an easy first assignment. Monkey Khan and Chimchar standing next to each other. Draw Middle-aged muntant samurai Crocodiles! Awww, Geffy! You know I don't like that charrie, or any monkeys of that matter! Uh, we'll see if those are easy to sketch Seviper. And here I thought you were my bro! I guess you have made a Monkey out of me! Well new suggestion. Draw the Kanto starter pokemon. So this isn't quite Sonic art or Fan Characters, and yet it's not Non-Sonic are either, so I've dusted off this old topic of mine. As a few of you probibly know I'm pretty keen on the Fire Emblem games. 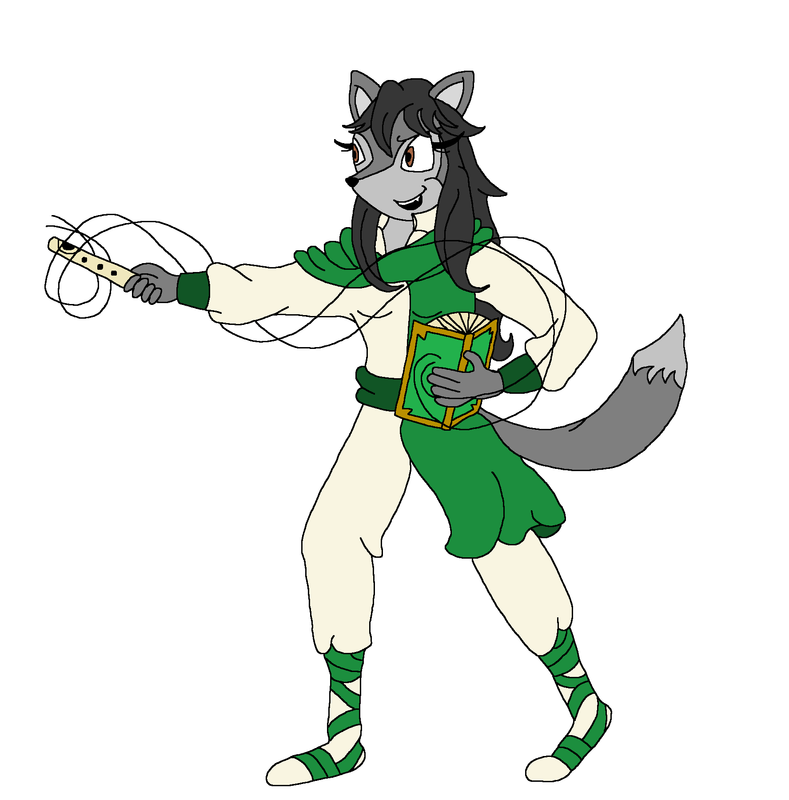 And a short set of drawings I've done recently is of some forum members and former members as Fire Emblem classes. I still can;t draw human faces/heads, so I've stuck with a Sonic style, but with close to human proportions. I'm not sure if I might expand this series or not. I guess that depends on interest. Those look awesome Skye! I myself am a Fire Emblem fan and I like your spin on the classes! Want one of yourself? Knight class might be apt for your avatar? Do I even need to say to draw me. Well.... I guess if people want in on this. Okay, I'm currently just drawing the common base classes from Fire Emblem, and I'd prefer to have people choose different classes, just cause I'm fussy! For those who don't know the different classes, here's a quick summary. Mercenary: A well rounded sword and shield unit. Myrmidon: (Myself) A very fast, agile sword weilder. Fighter: A strong but lightly armored unit who wields axes. When they hit, they hurt. Spear Fighter: A tough soldier with a spear... says it all really! Knight: No, not the horseback kind, these are the heavily armoured tanks of the FE world, Tougher but slower than a spear fighter. Thief: A sneaky well, thief, who uses a sword. Not great in a fight, but very hard to hit. Good for getting past doors. 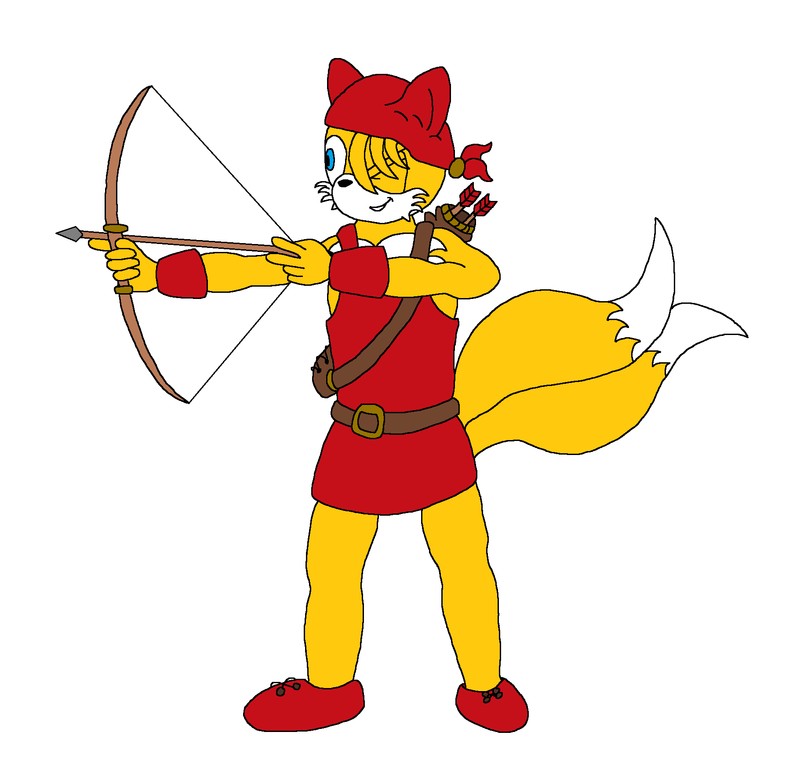 Archer: (Tails (Chosen One)) They use bows.... Er... not much else to say! 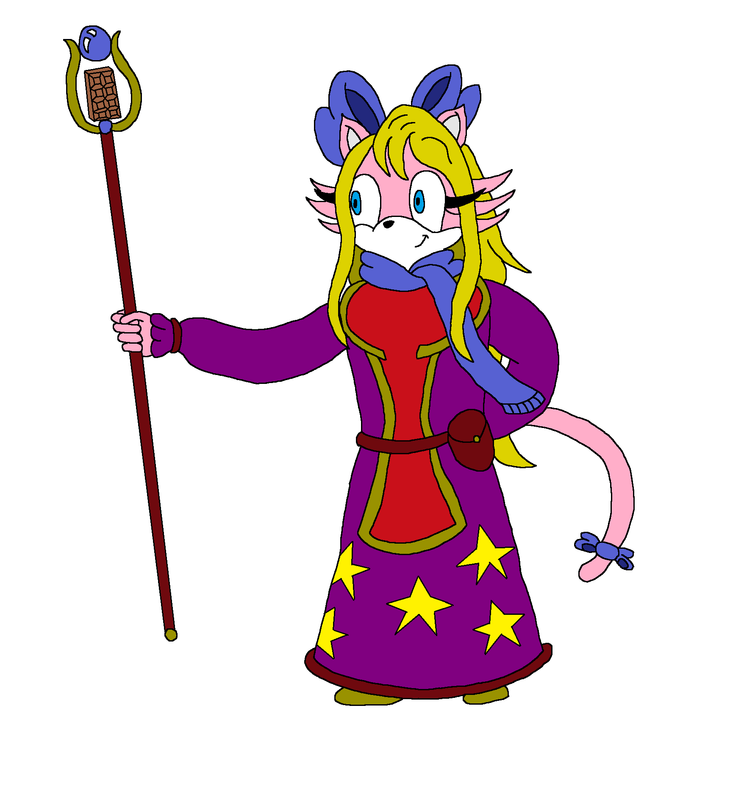 Mage: Uses spell tomes to cast magic, usually Fire, Lightning or wind based. Pointy hat optional. Cleric/Priest: (Sweet_lil_Eliza) Healers. Use staffs to heal. Can't attack in most games, very scary in games where they can. Pegasus Knight: A lightly armored rider on a Pegasus. Not strong or tough, but fast and very resistant to magic. 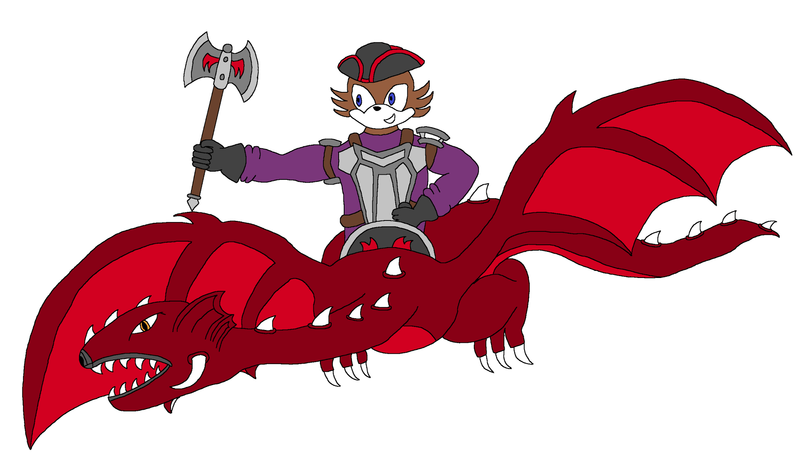 Wyvern Rider: (Dylan) The opposite of the Pegasus: Strong, tough, but a bit slow to attack and weak to magic. Oh, and they're riding a dragon. Dancer/Bard/Singer: (Inuki) Can use their Dance/Song to inspire and boost others. Either can't attack, or have a very limited or focused attack. Huh... that was a longer list than I thought! Let me know if you what character (existing or OC) you'd want me to use, and the most apt pic if you're using an OC! Skye you know me well enough to know exactly what I'd choose. 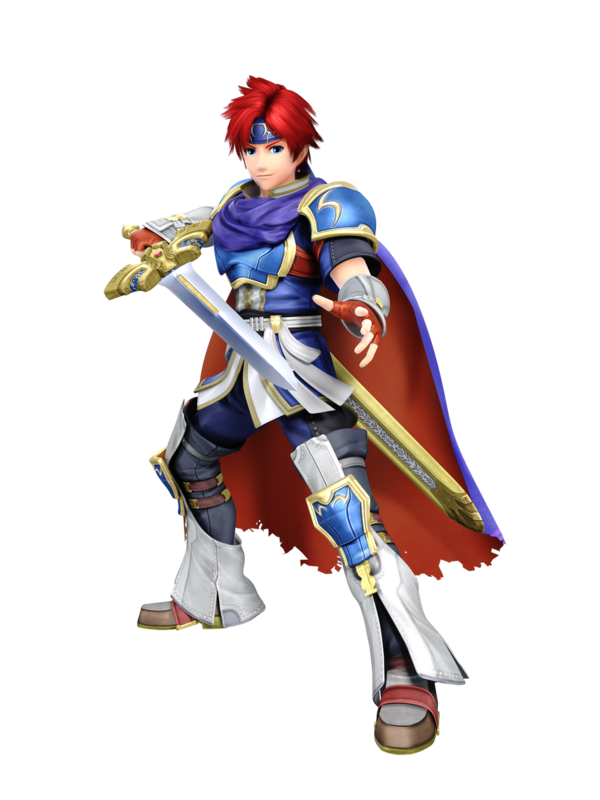 Roy has always been my favorite character not just because of Smash Bros, but because he gets the most powerful sword in the history of Fire Emblem! He gets the Master Lord class with it late game however. If you still want to go along with this then maybe draw Roy as a Mobian Coyote? 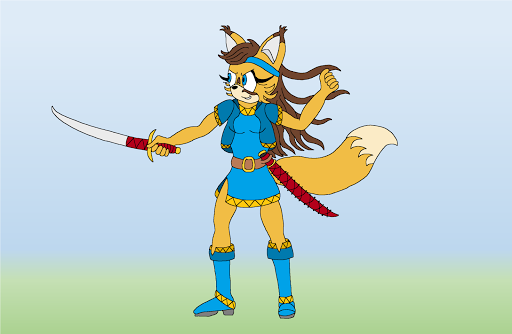 (Because everyone knows coyotes are the best swordsman ) Thanks again, Skye! Hmm.... redesigning an existing charrie... Yeah, I'll give that a shot Thire.